R-E-S-P – What does it mean to … you? I’m not sure what the weather’s like in the rest of Canada, but in southern Ontario it’s been hot hot hot! I hope you’re enjoying your summer. It’s a great time to take advantage of the warmer weather and enjoy all that Canada has to offer. If you’re travelling abroad, enjoy your new adventures and be safe! Soon it will be back-to-school time and some parents are already thinking about school preparations for their children and perhaps themselves. 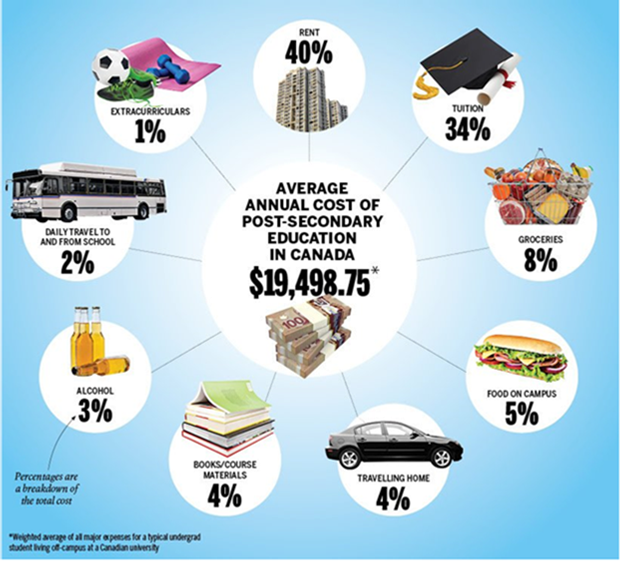 In this blog I hope to provide some insights on helping your children and grandchildren prepare financially for their post-secondary education and working life. Since parents have been getting a recent windfall from the Canadian government, they might consider adding to their children’s financial security plan to help with their future success. Some families will receive a larger Canada Child Benefit in 2018. This is a great opportunity to help make their children’s futures brighter financially – and help take some of the financial strain off parents’ backs. It’s surprisingly easy to set them up! One tool to help your children prepare for college is a Registered Education Savings Plan (RESP). For every $2,500 you contribute each year, the Canadian government gives you a grant of $500, depending on net family income. That's 20% growth on your investment right away! Each child can receive up to $7,200 in grant money, with a maximum of $1,000 in a single year. Saving more today means less of a future burden. Parents should consider saving for their retirement years first, before helping their children with saving for their education, so they are not a burden to their children in later years. Another way to help set your children or grandchildren up for financial success is to provide for their future financial milestones. For example, going to school, starting a business, having a family or buying their first home. You can do this with a whole life insurance policy and a critical illness insurance policy. Many of my clients have purchased ‘20 Pay’ whole life policies for their children and grandchildren and love the growth potential and the ability to control the cash value in the policies. At any point in the future they can be transferred to the children’s ownership as well. There are many other investment and insurance options for children, like contributing to a parent’s TFSA for them and trusts. Each family’s needs are unique. It’s best to meet with me to discuss your specific situation to determine what’s best. You can also help your children by setting a good example for handling money and teaching them early money-management skills. If you’d like information about how to teach your children about money, feel free to ask me. For more information on Registered Education Savings Plans click on this link RESPs. If you would like to discuss further, I could create a plan for your children and put a proposal together. You should first decide how much you would like to save for their education when they turn 18. 2The example provided is not complete without the illustration, including the cover page, reduced example and product features pages all having the same date. Read each page carefully as they contain important information about the policy. The above example is for illustrative purposes only. Situations will vary according to specific circumstances. This information is general in nature and is intended for informational purposes only. For specific situations you should consult the appropriate legal, accounting or tax advisor.